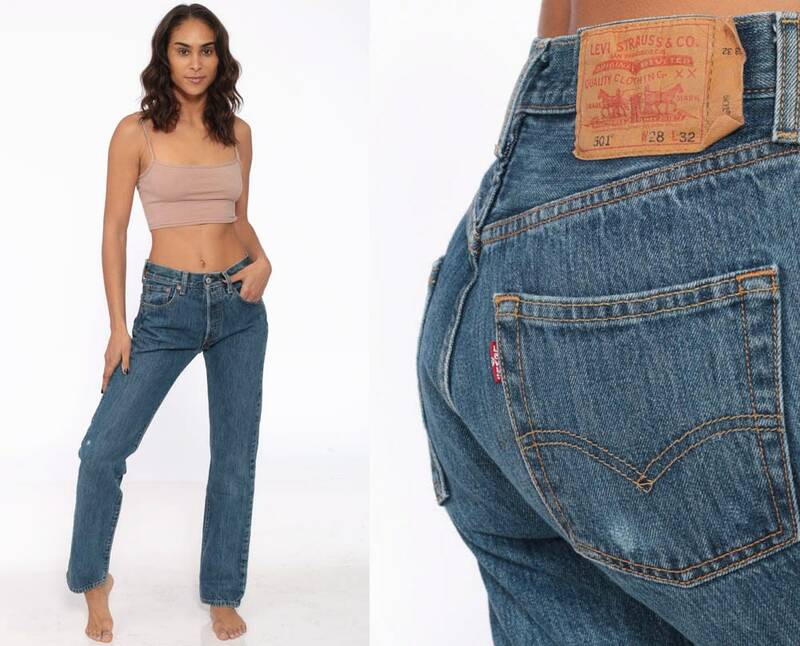 Vintage 90s jeans by Levis 501 in dark blue denim with a mid rise and a mom fit. Five pocket design, button fly. Condition: Very good vintage. Has a few faint spots throughout that may come out with cleaning. 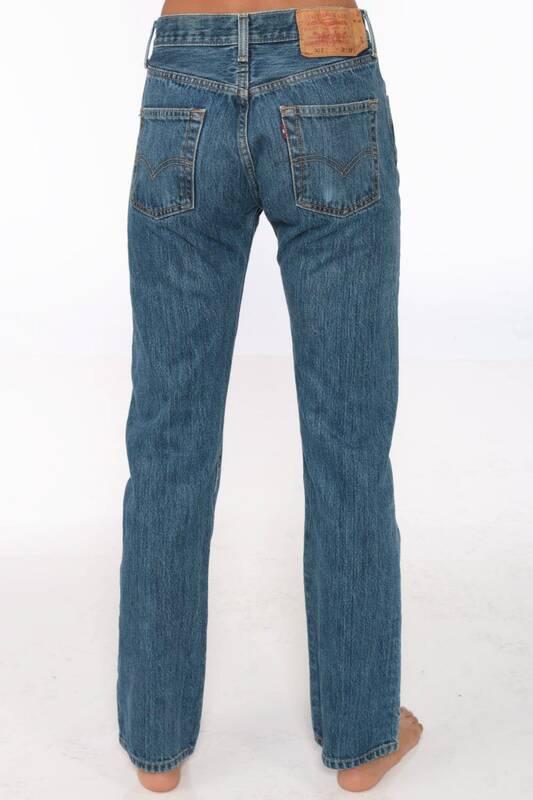 One small worn spot by the right knee, and another on the back right pocket.